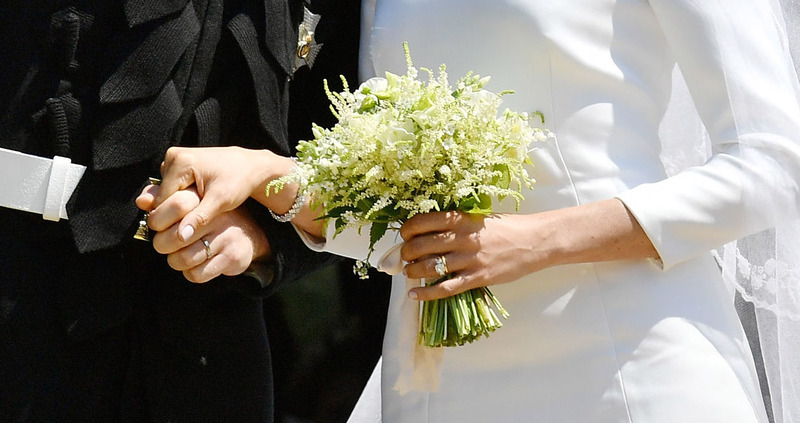 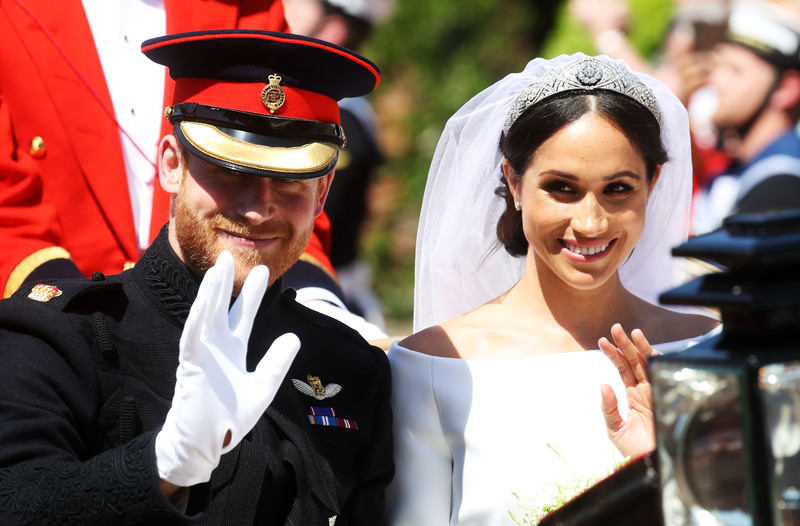 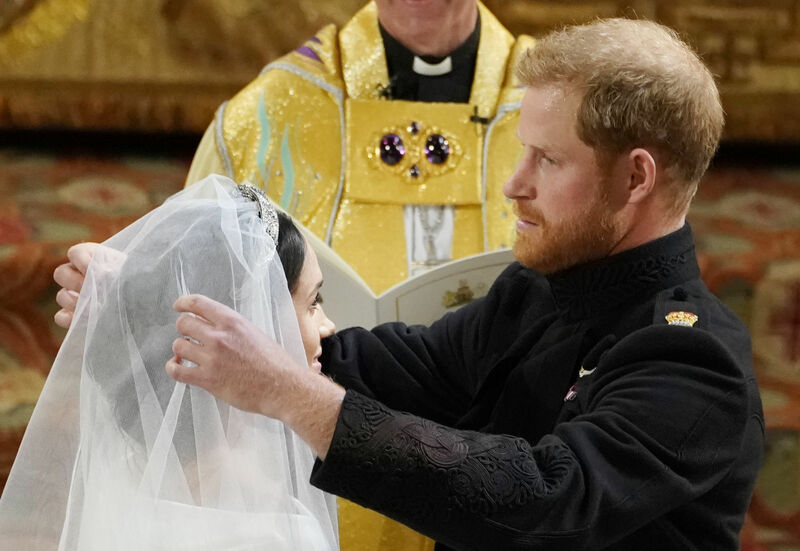 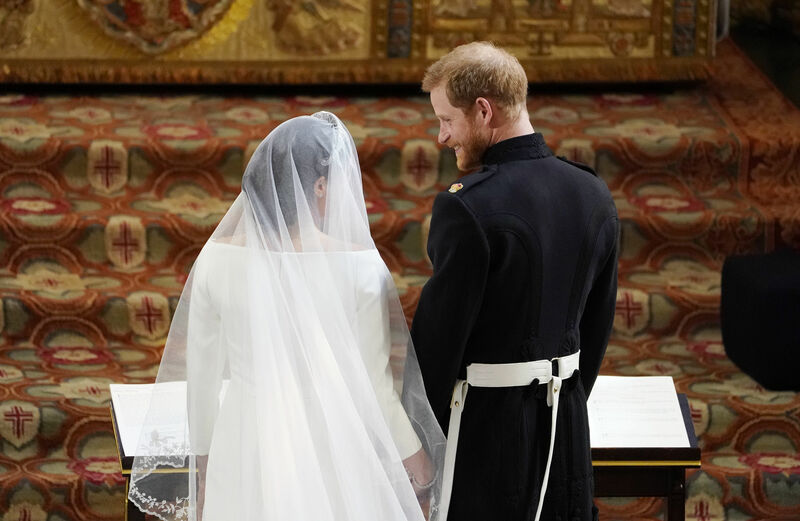 After so much anticipation (and about $42.8 million), Meghan Markle and Prince Harry are finally married! 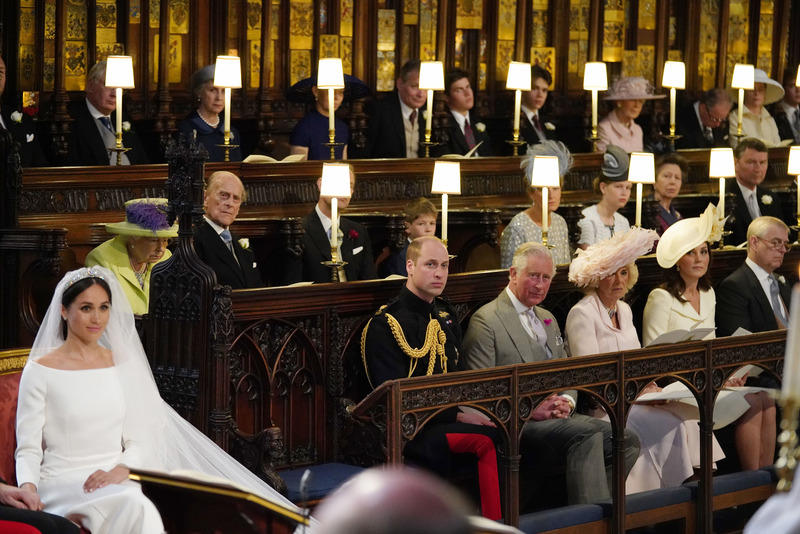 The wedding was just as spectacular as we expected it to be. 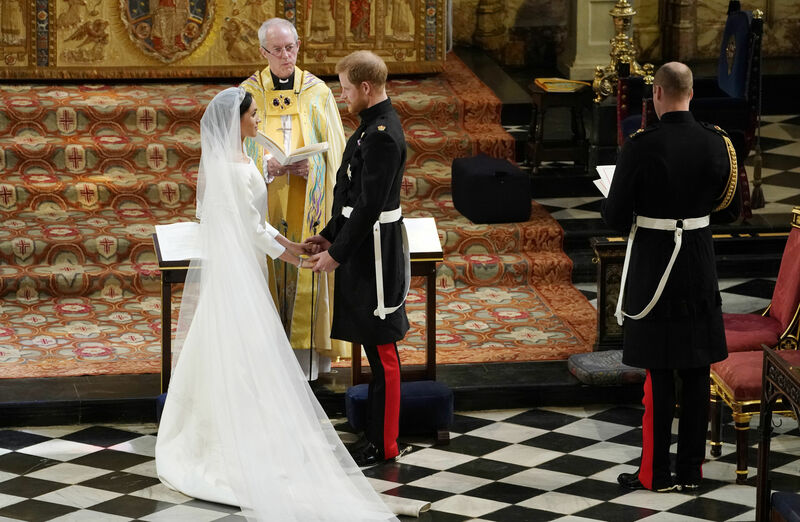 It was almost totally worth waking up in the wee hours of Saturday morning to watch. 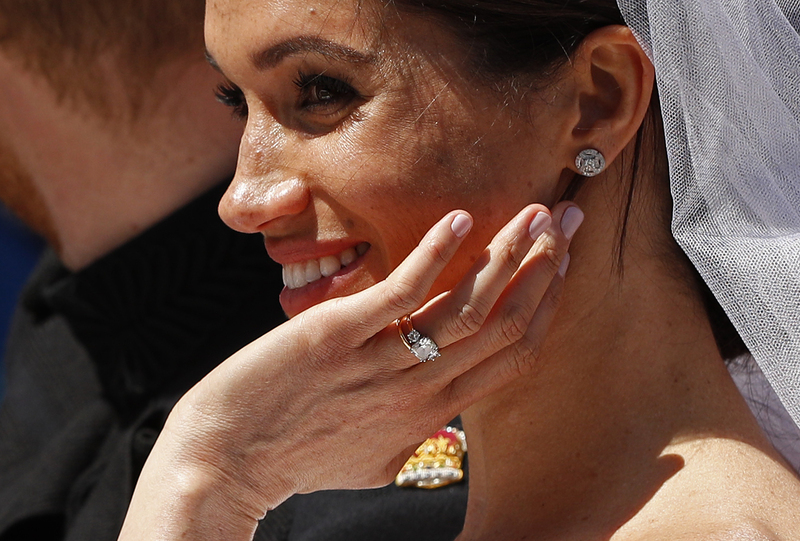 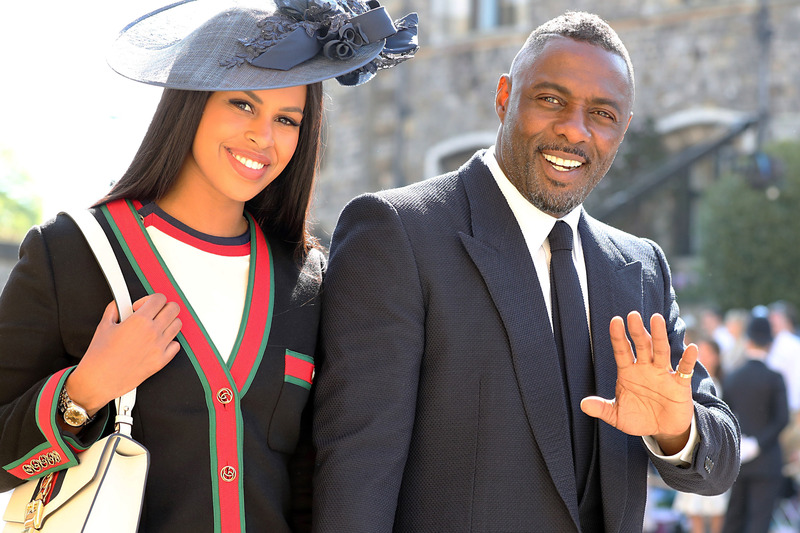 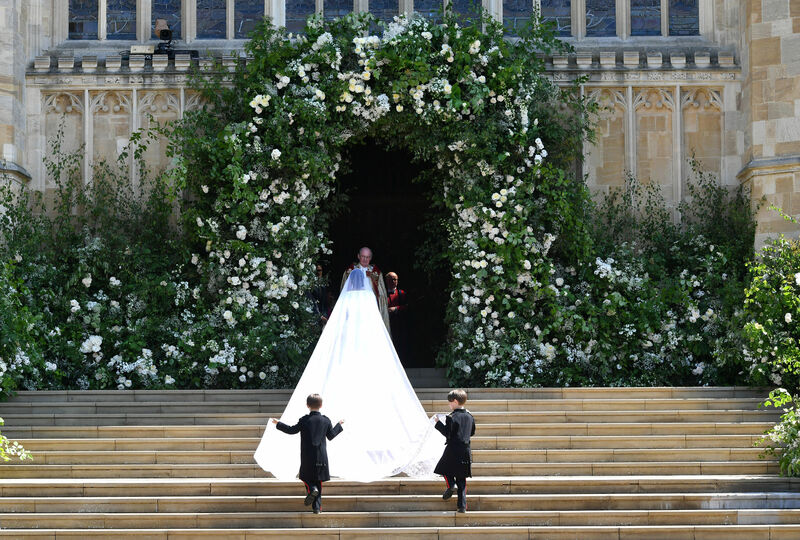 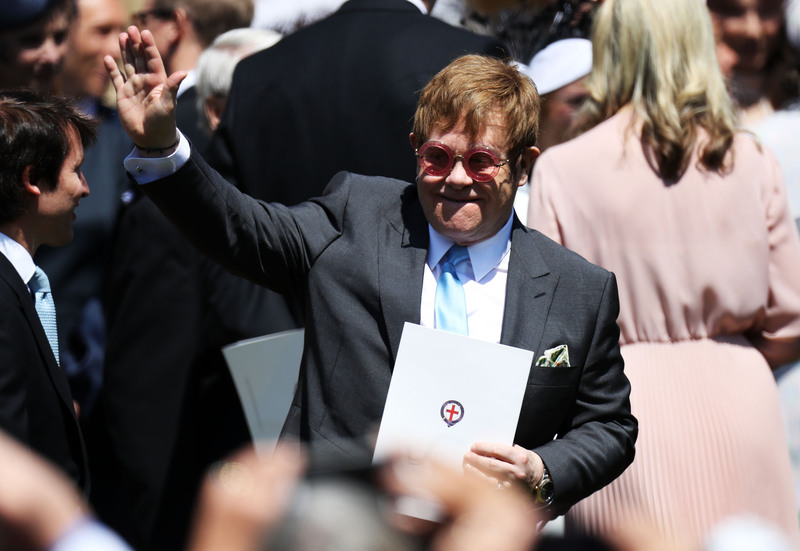 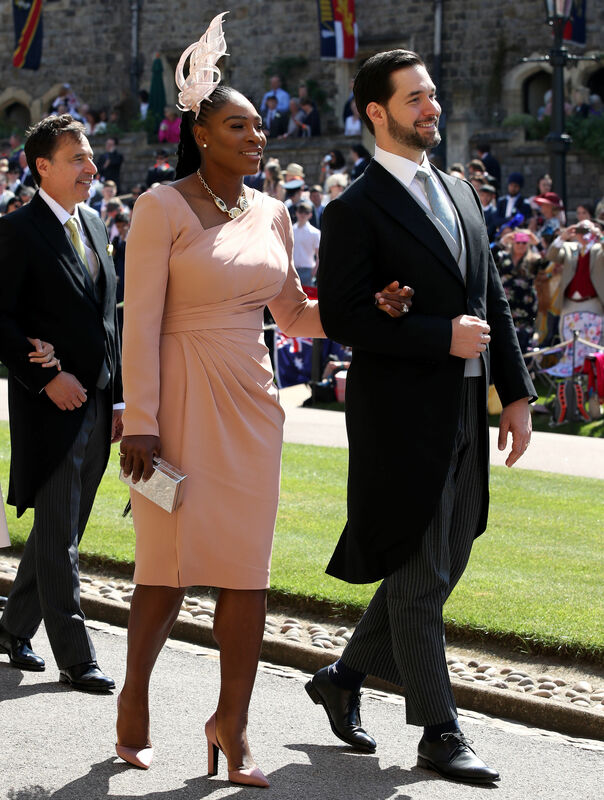 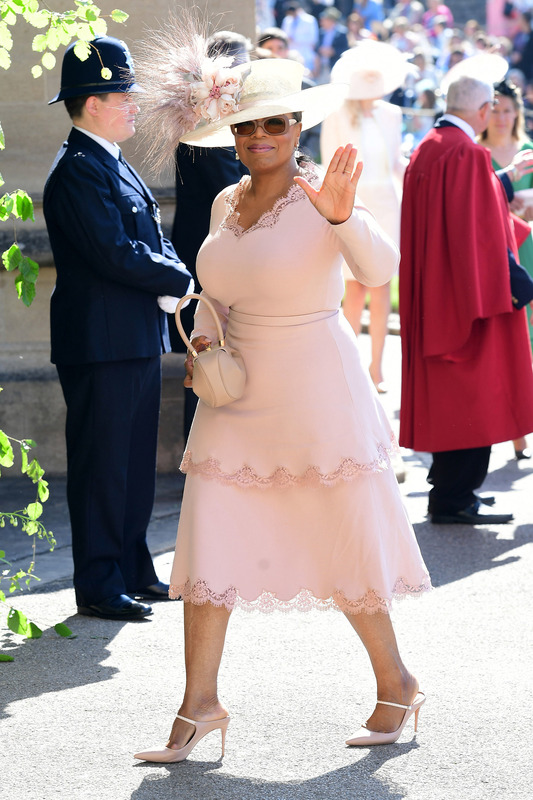 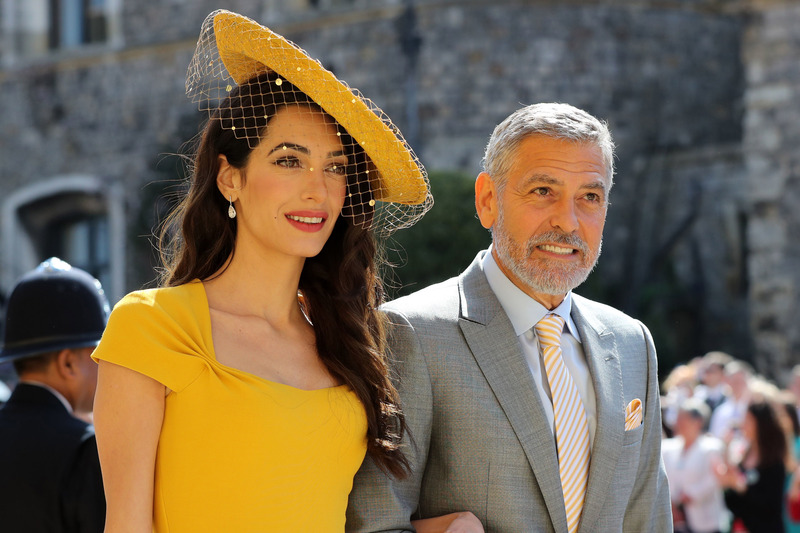 As the anticipation of the nuptials built, Hollywood stars including George and Amal Clooney, Priyanka Chopra, Victoria and David Beckham and Oprah descended onto Windsor Castle looking like actual royalty — and, as expected, Amal was very close to stealing the show. 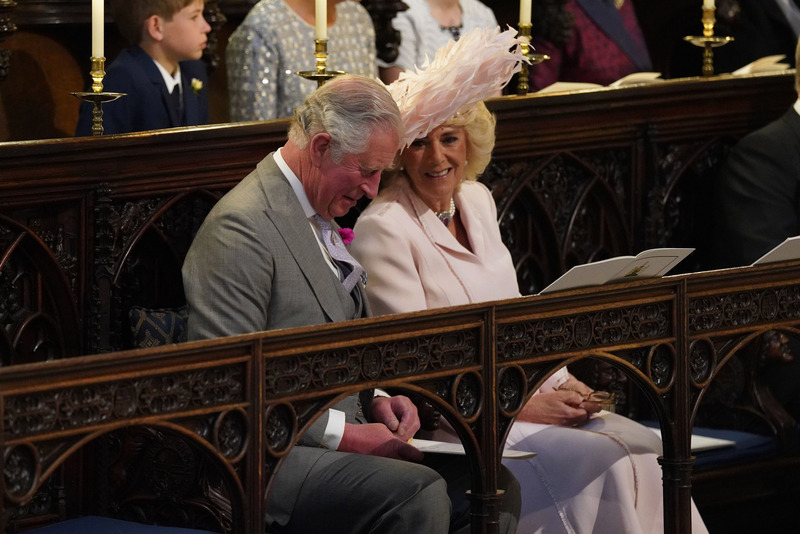 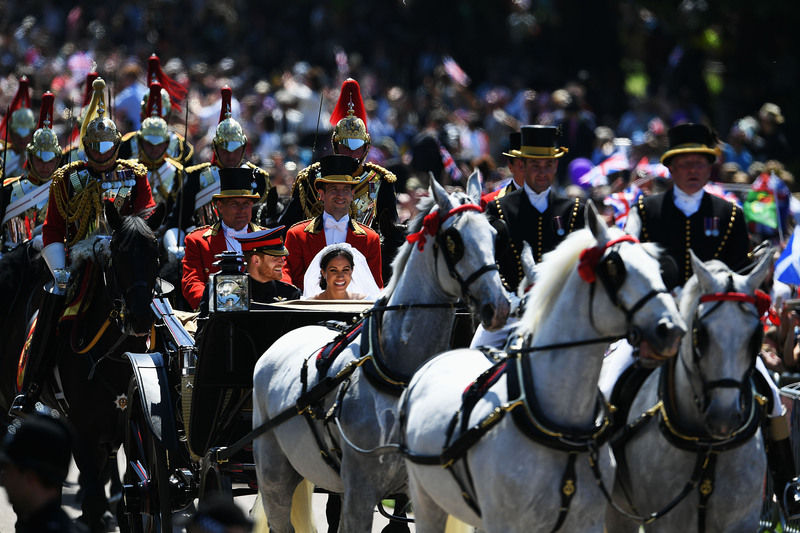 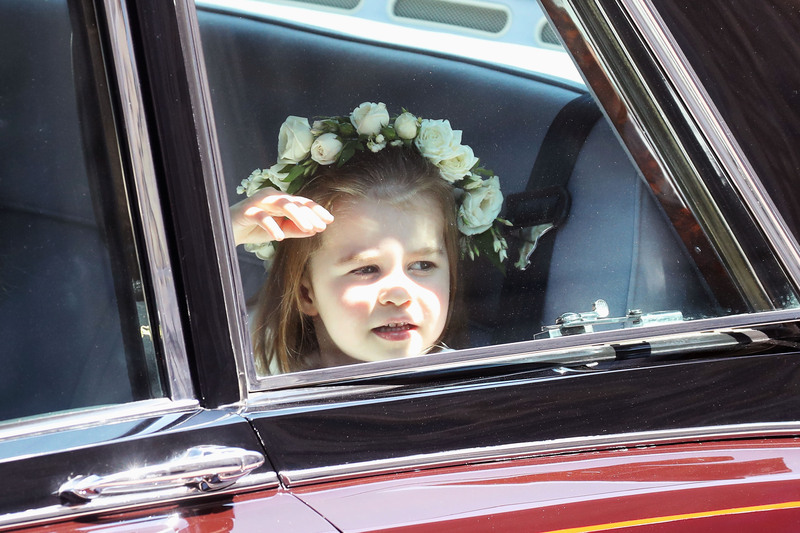 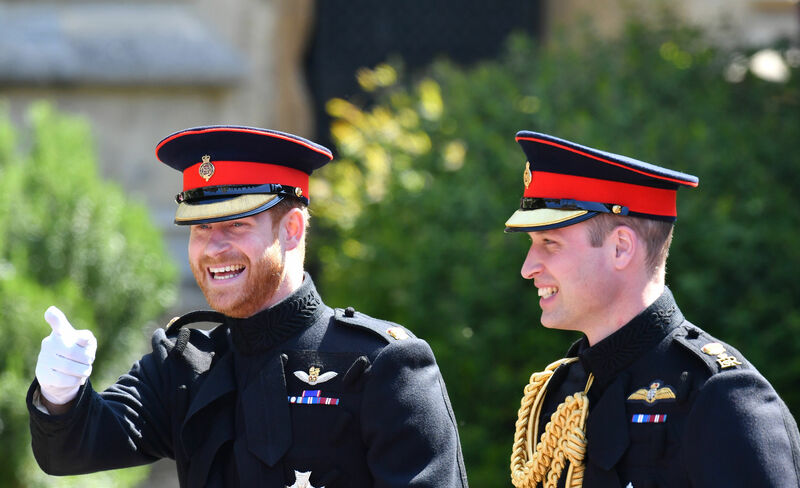 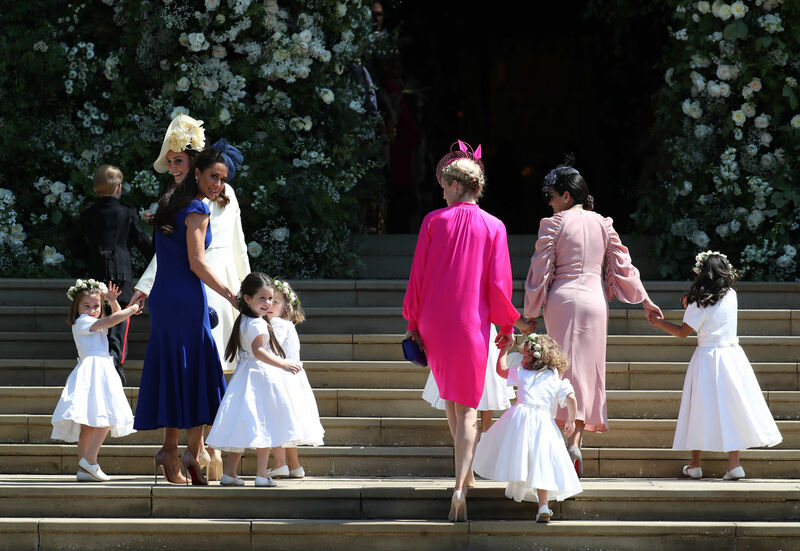 The entire royal clan was in attendance because, well, it's the most important royal event of the year (with the birth of baby Louis Arthur Charles a close second, of course). 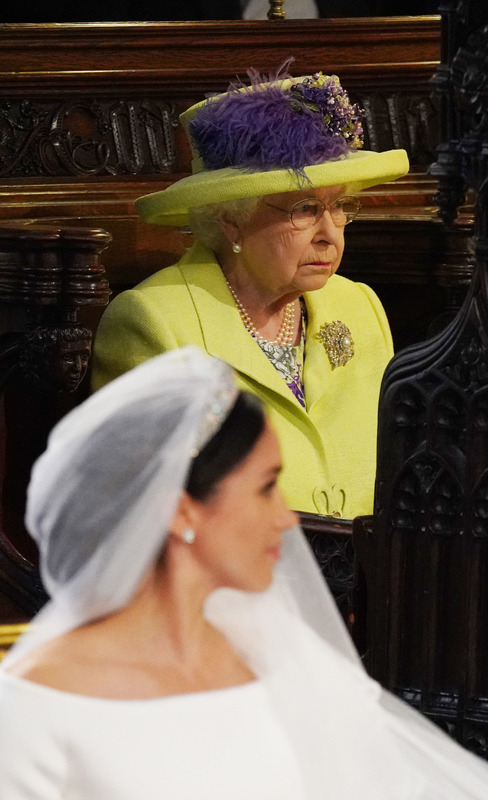 Queen Elizabeth II wore a lime green coat over a floral dress designed by Stewart Parvin with a matching hat and purple flowers on its brim. 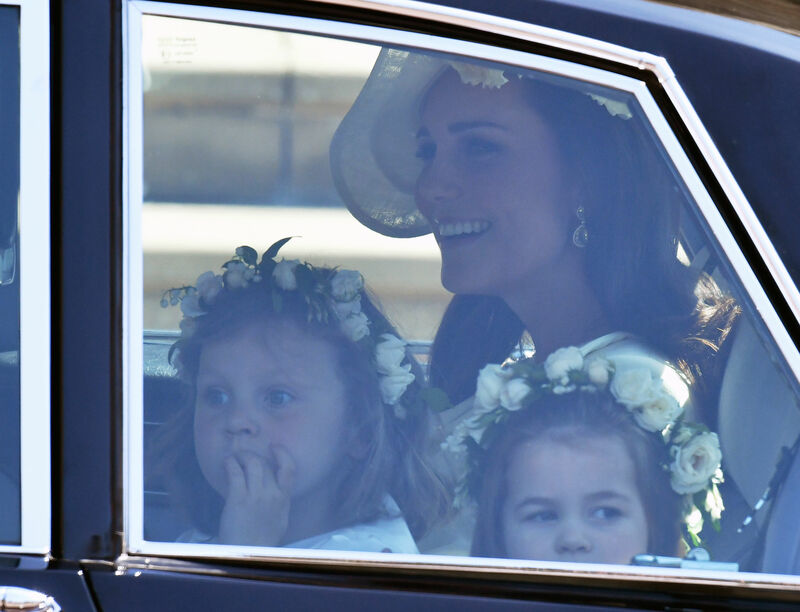 Kate Middleton stunned in an Alexander McQueen dress that she's actually worn to big events before — once to daughter Charlotte's christening and again at the queen's birthday. 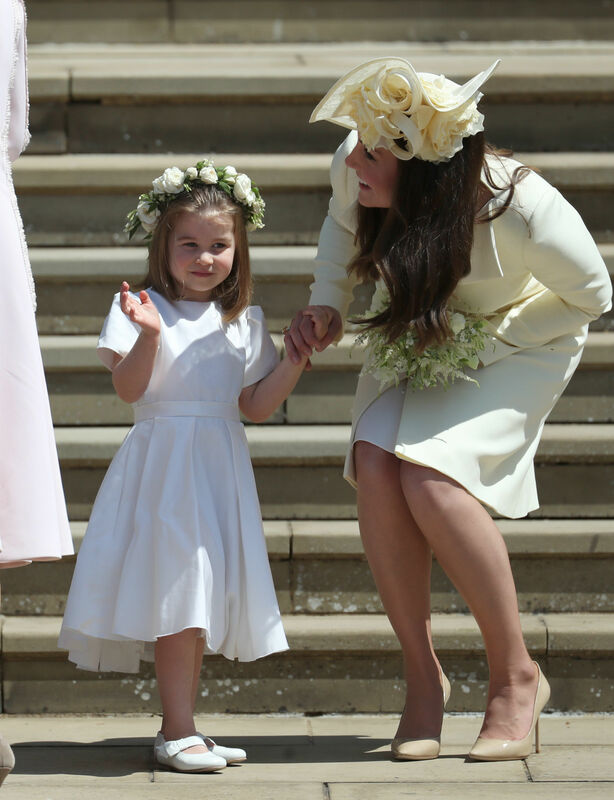 Pippa Middleton wore a pale green floral dress with Jimmy Choo heels. 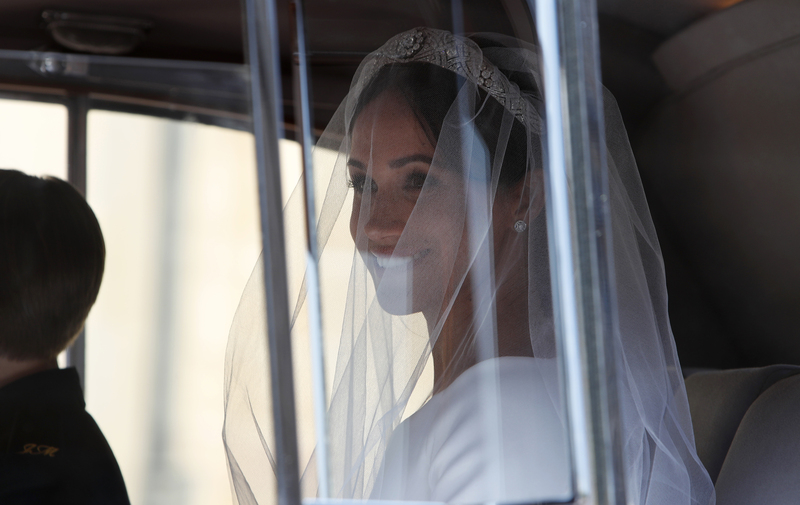 And we can't forget the bride. 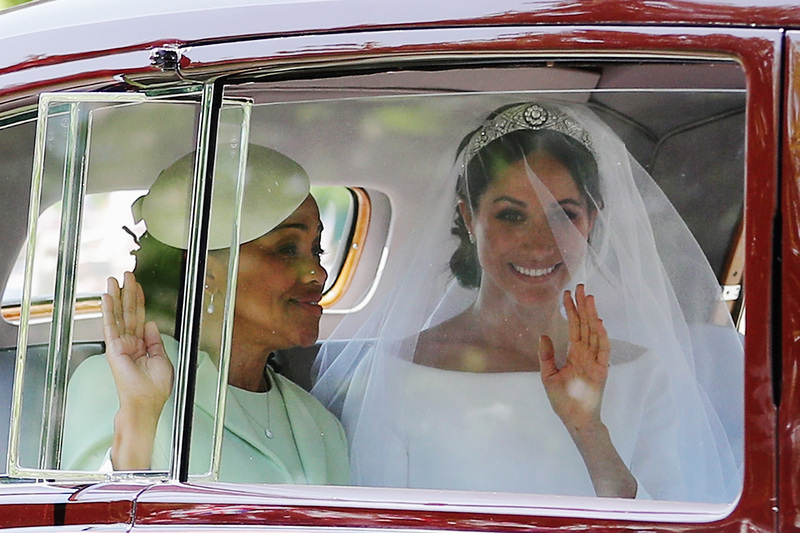 Meghan broke royal tradition again (no surprise there! 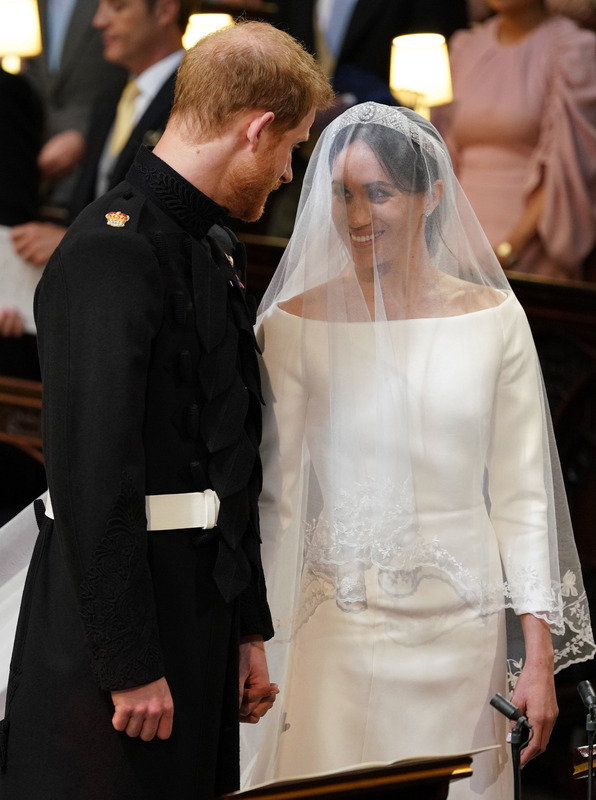 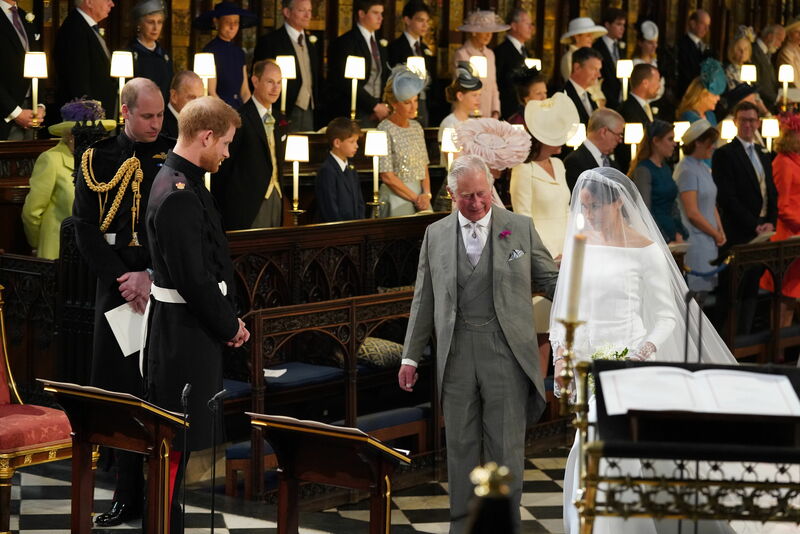 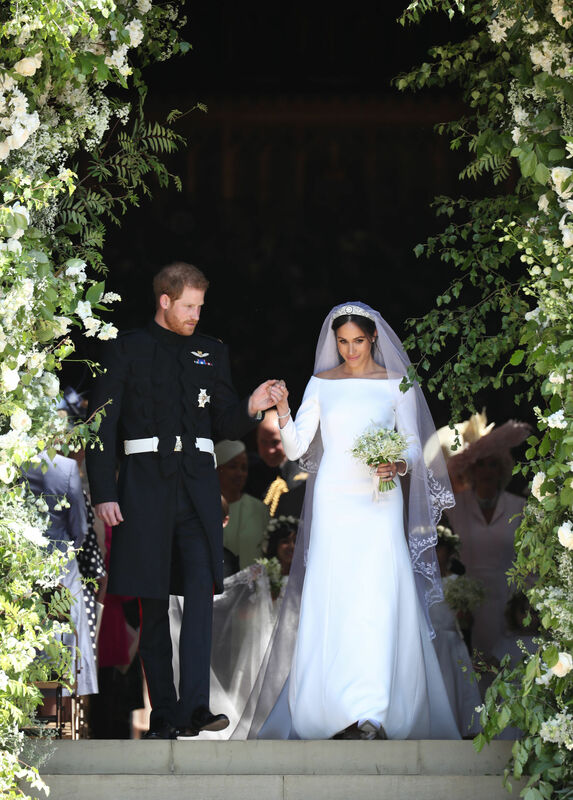 ), walking down the aisle in a silk modern Givenchy wedding dress with three-quarter-length sleeves, an open bateau neckline and a slight A-line skirt. 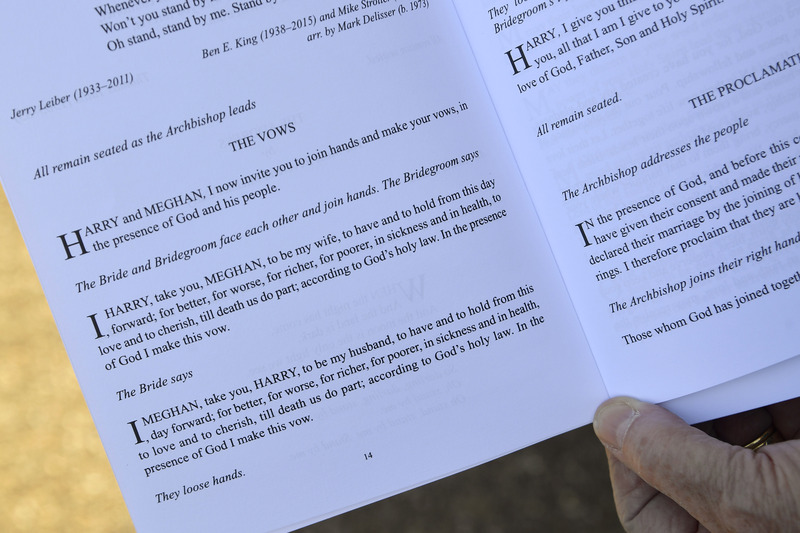 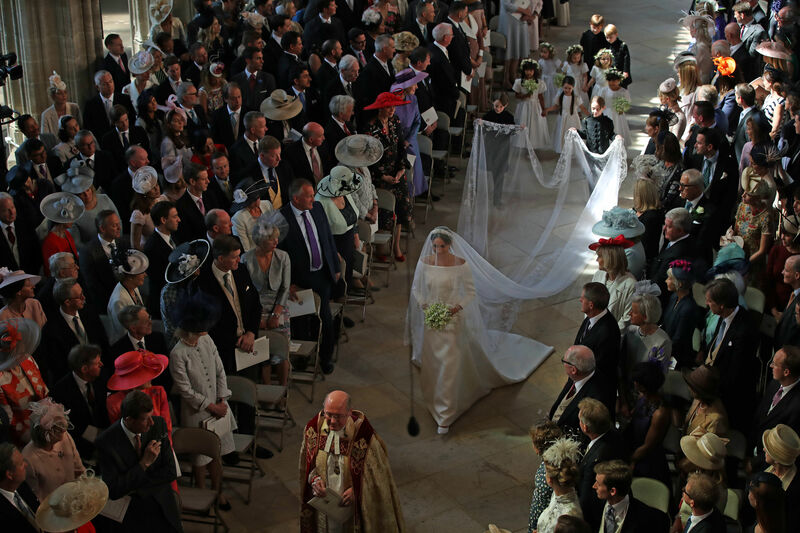 And despite the drama that preceded the big day, everything went off without a hitch. 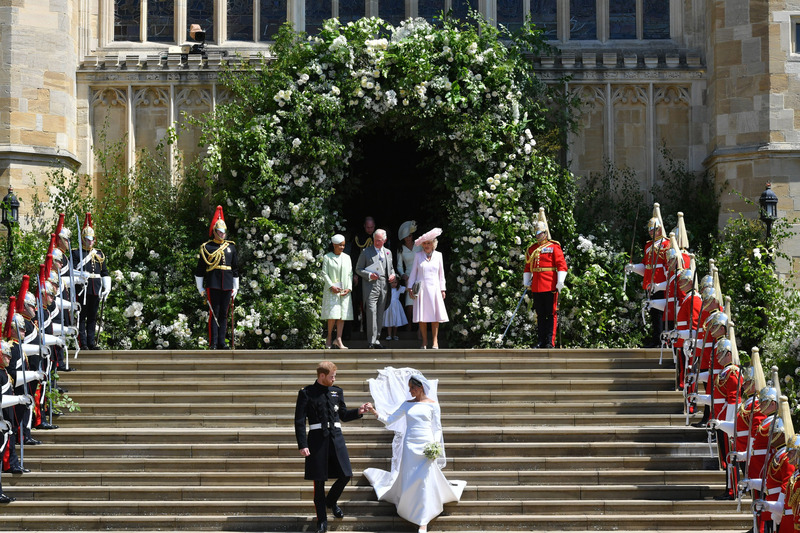 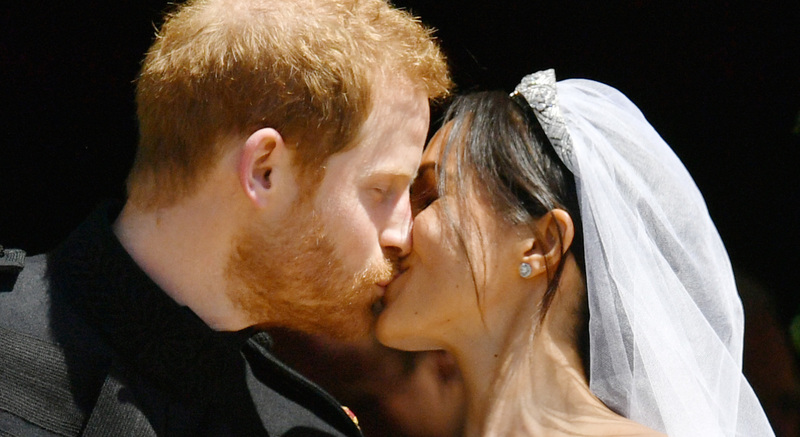 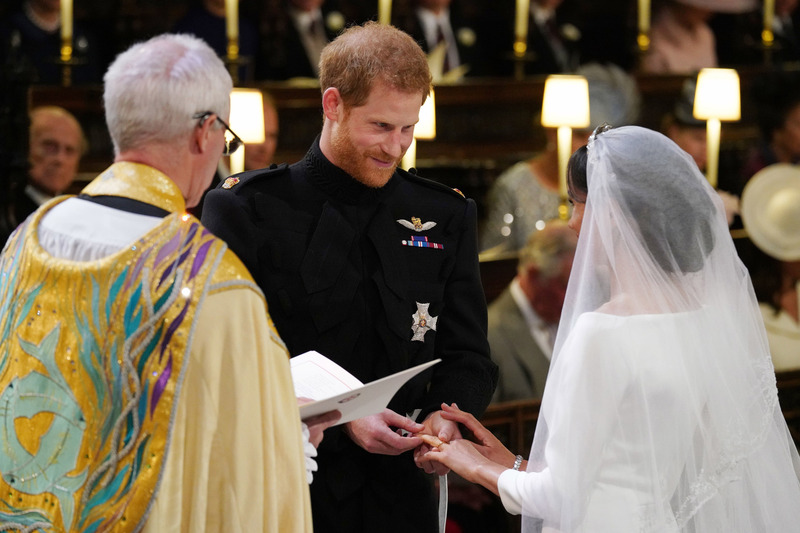 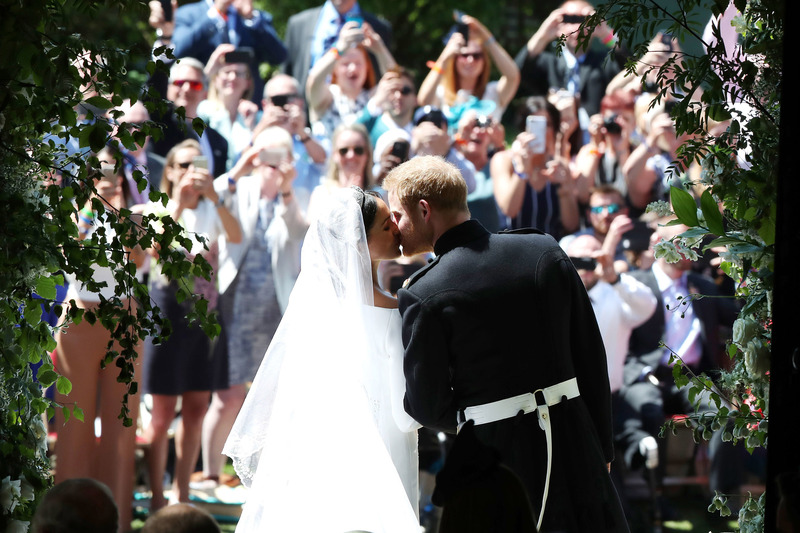 The ceremony was seamless, everyone said their "I do's" and Prince Harry and Meghan Markle sealed their new marriage with a much-anticipated public kiss. 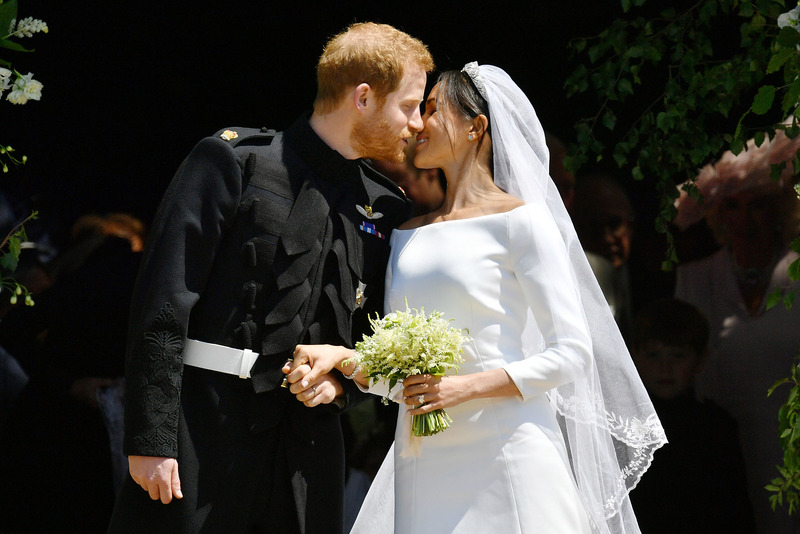 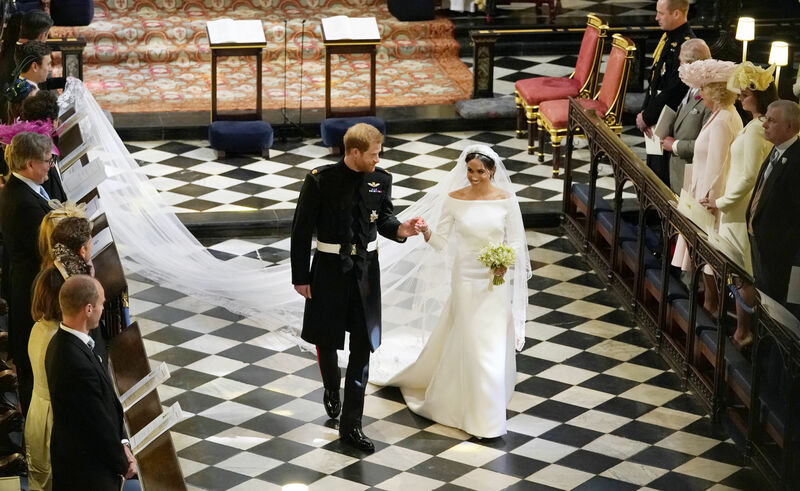 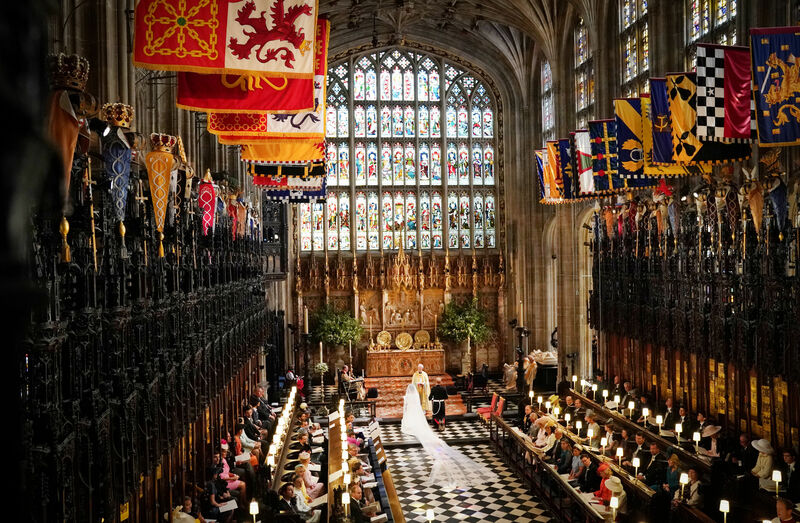 So, without further ado, we present to you the photos from Prince Harry and Meghan Markle's fairytale-turned-real-life wedding.